You are here: Home / blog / Are You Asking the Right Questions? Recently I saw a post by a friend who’s devastated by the wildfires in California and the confusion for her was when asked by others “how can I help” or “what can I do”. This was a question she stated she could not answer. This was a question that was difficult for me in dealing with Harvey during the massive flooding and loss of our home. People would ask….”how can I help”, “what can I do for you”, “what do you need” and all of those were questions I just could not imagine, understand, comprehend or begin to know how to answer. When dealing with something so devastating, something that you’ve never been through before, something you couldn’t imagine in your wildest dreams ever going through, you have a hard time anticipating or determining what your needs are and how to progress. You have feelings of being numb and since there is so much to do, you just can’t imagine where to start let alone getting help with pieces of it. So in dealing with this myself during Harvey, I finally got to the point of creating a list of what people offered to help and what type of things they could do. Then, as things came up, I wrote that down and reached out to those people. My suggestion is to create a list of things that you need in different formats such as financial, buying things, chores/cleaning things, errands, manual labor, food, deliveries, etc. and so you have that for those that want to help, they can help in the best way they can. This makes it easier for the person going through the devastation while allowing for those to help to help how they are able. Stick with me here – hopefully you won’t have to ever deal with such devastation for your home or business and while those were extremes, it brought up a great point to ponder with respect to your business. Remember the saying, ask a stupid question, get a stupid answer? Same goes for asking broad questions to get broad answers. 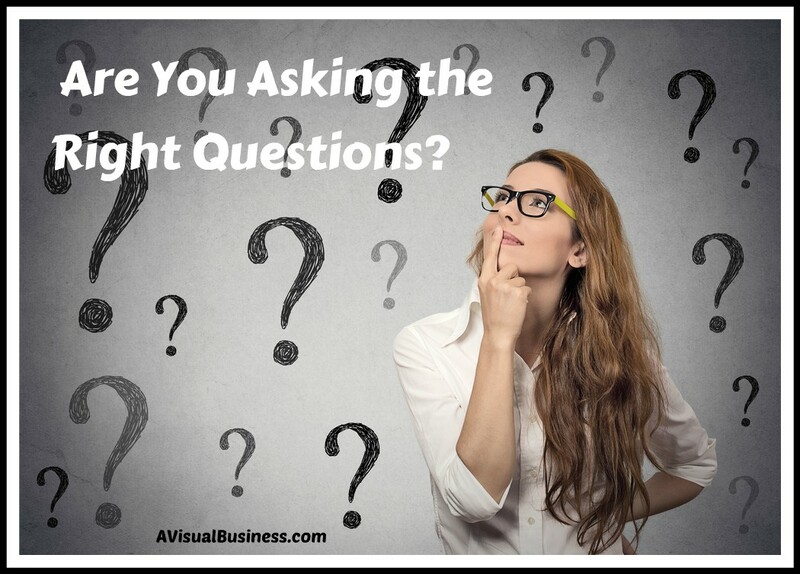 Learn how to ask better questions here. Me/Marketer: Great, what do you need help with? Business Owner: ugh, I’m not sure? Me/Marketer: So, your website, search engine optimization, email marketing, paid ads on Google, social media? Business Owners: well, probably all of that.. but what is all of that? Do I need it? How much is it? How quick will I get results? etc. You can see how this is going, right? Not well. Me/Marketer: Sorry to hear you are having troubles. What results are you not getting, but wanting? Or maybe.. what are you wanting to accomplish? 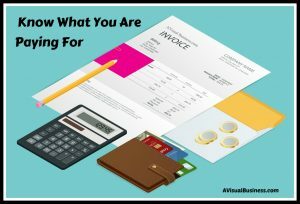 Business Owner: I’m paying for X but not getting any results… or I want to get more eyes on my website but my paid ads aren’t making my phone ring.. or my current Y services person isn’t responsive to me. Me/Marketer: So your X service isn’t getting you results… or your paid ads aren’t making your phone ring… mind if I take a look at what you have been doing exactly and see if I can help make the needle move? Or.. sorry they aren’t responsive, what exactly were you hoping they would do for you? Now, this conversation started out better and leads to a more engaging conversation versus one with a whole bunch of confused looks. I will add this though, regardless of the services you are paying for – social media, search engine optimization, cell phone service, a new car… regardless, be sure you Know What You Are Buying! Be a better advocate for your money and what you are paying for. That blog is about SEO services but valuable for anything you buy, get a contract to understand what you are paying for and what they are to deliver, what they will be doing, etc. It will help you be sure you are getting the value your business needs or know that you aren’t and you need to move on. Again, if you are needing someone to help you with your business, explain what troubles you are having, what you have tried and the results you get so that the person offering help could start with solutions to your pains. If you are in business, you have likely gone to a networking meeting where everyone shares their elevator speech and within that may mention who is a good referral for them, or maybe a good referral partner (there is a difference). This is the time to be SPECIFIC about what you need. Too often I’ve heard people say that a good referral for them is anybody who has a business. Really? Everyone is NOT a “good” referral for you. Everyone could use your services and pay you money, but the keyword here is Good. A good referral is more like your target market or ideal client. For example, an ideal client might be someone who pays on time, understands the value in your services and knows they need it but doesn’t have the time to do it. It isn’t a DIY type person who will sponge every bit of information you have and never pay a cent. 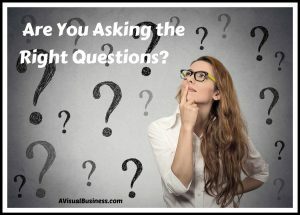 It isn’t the person who pays late, who you have to chase down via email, text and phone call to get them to answer your questions about doing your job for their business. Ideally, a perfect client is one that provides feedback on the type of calls they are getting, the number of sales they are getting and knows their business and their target market well enough. So, to say that everyone could use your product or services is true, but they aren’t ideal. We need to spend our time and money on the more ideal client, not the average business owner. So, instead of asking for a referral for anyone that has a dog (dog sitter), teeth (a dentist), a mouth (nutritionist), a business (business to business biz), be more specific on who is a good referral for you so others can send you more qualified referrals. So the bottom line here is to be specific. If you know more about what you need, you can better explain what you need help with. I hope this has been helpful. Please leave a comment below on what you found to be most valuable or how you share your best referral needs to others. I’d love to hear what you think about that.